Zentangle is an easy-to-learn, relaxing, and fun way to create beautiful images by drawing structured patterns. People who use this fascinating new art form say it’s fun, relaxing, and provides artistic satisfaction and an increased sense of well-being. Because of its size and simplicity of components, Zentangle art can be created almost anywhere, alone or in groups, without any special abilities or costly equipment. Zentangle is enjoyed by people of all ages and skill sets, and is used in areas including arts and crafts, education, and corporate settings. 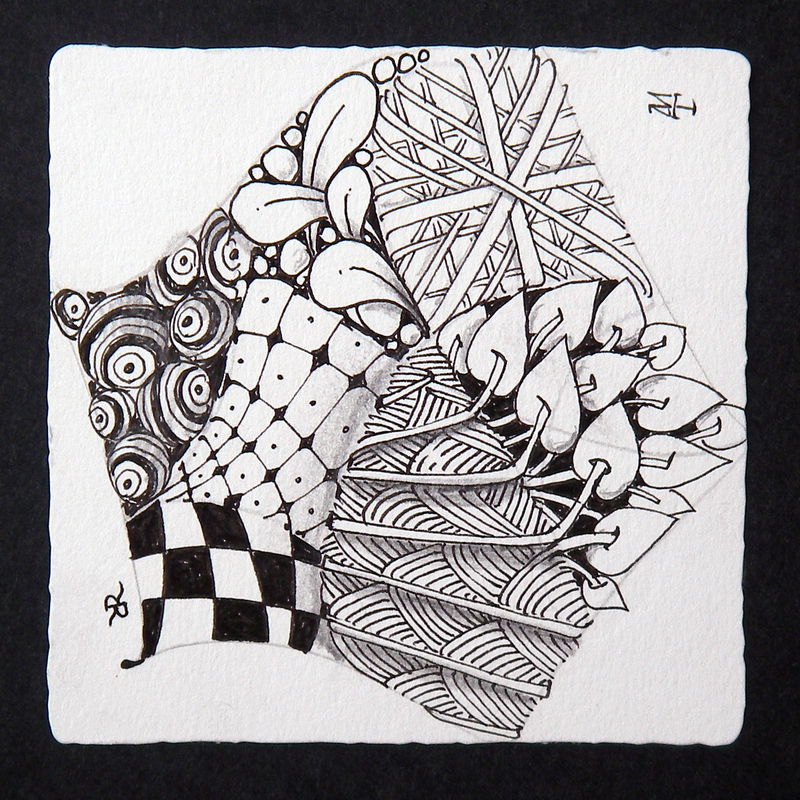 Zentangle materials are elegantly designed, crafted and presented. If you are going to express yourself, use the finest tools available. Rick Roberts and Maria Thomas, the creators of Zentangle, chose Sakura’s Pigma Micron® pens to complement their museum quality papers for long lasting, beautiful results. Use Zentangle as a fun way to relax, focus, and gain inspiration. It can be done almost anywhere, alone or in groups, without any special abilities or costly equipment. Finished Zentangle art is an unplanned abstract. This is an unusual approach to art, because you have no idea what the results will be when you begin. The Zentangle method helps you discover artistic talent that you never knew you had. Zentangle’s approach has been used to improve confidence and creativity, foster teamwork, and even as a type of therapy to address issues such as addictions, attention deficit, and stress management. The deliberate strokes and repetitive experience while creating Zentangle art make it a useful tool for art therapy. Often art itself is an obstacle in therapy because of preconceived notions of not being an “artist.” The Zentangle method has been used to help break down these barriers by simplifying the drawing process to repeated strokes that when combined, result in beautiful art. The Zentangle method has been used in public, private and home school environments to improve creativity and personal expression, problem-solving, hand/eye coordination, relaxation and focus. It can also promote cross-cultural understanding by analyzing and comparing patterns used in Indian henna, Celtic knotting, Zuni pottery, and Maori tattoos. The Zentangle® art form and method was created by Rick Roberts and Maria Thomas and is copyrighted. Zentangle® is a registered trademark of Zentangle, Inc. Learn more at www.zentangle.com.